David Lloyd Jones Home has a beautiful new outdoor garden space but needs outdoor furniture for residents to enjoy it this spring. 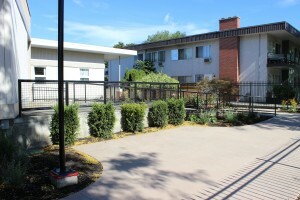 David Lloyd Jones Home, located at 934 Bernard Ave, has a new outdoor garden space for its residents. Jonathan Clare, Residential Manager at David Lloyd Jones Home explains, “We are truly blessed to live in an area where we can enjoy the outdoors virtually year round. Those who call David Lloyd Jones home needed an accessible and attractive outdoor area to enjoy with their friends and families”. 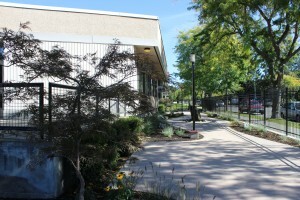 The garden space is located in front of the building off the sidewalk, adding to the beautification of Bernard Ave, and be appreciated by residents and pedestrians alike. 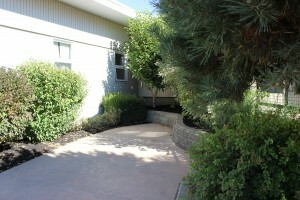 While the renovation of the space is complete, new furniture is require to complete the garden. David Lloyd Jones Home is looking for gifts to support the purchase of benches, patio tables and other outdoor pieces to ensure that once spring rolls around, residents and their families are able to spend time outdoors and enjoy the space.